Asian stocks turned in a mixed performance on Thursday after the U.S. imposed tariffs on $16 billion worth of Chinese goods and the Asian nation vowed to retaliate, in an escalation of their trade war. Markets were also tracking political developments in Washington after Michael Cohen, U.S. President Donald Trump’s former personal lawyer, pleaded guilty to campaign finance violations and other charges and Paul Manafort, Trump’s former campaign chairman, was found guilty on five counts of tax fraud. 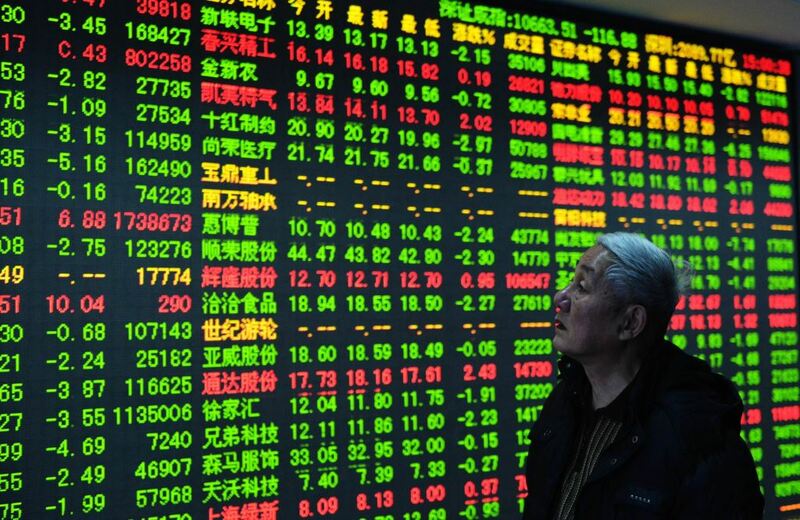 China’s Shanghai Composite Index climbed 10.02 points or 0.4 percent to 2,724.62, while Hong Kong’s Hang Seng Index fell 137.12 points or 0.5 percent to 27,790.46. A cheaper yen helped lift Japanese shares, with the benchmark Nikkei 225 Index rising 48.27 points or 0.2 percent to 22,410.82. The broader Topix Index closed marginally lower at 1,698.22. Activity in Japan’s manufacturing sector continued to expand in August, and at a faster rate, the latest survey from Nikkei revealed with a manufacturing PMI score of 52.5, up from 52.3 in July. Australian shares closed lower, dragged down by banks as renewed political uncertainty clouded the economic outlook. The benchmark S&P/ASX 200 Index dropped 21.60 points or 0.3 percent to 6,244.40, while the broader All Ordinaries Index ended down 13.50 points or 0.2 percent at 6,360.30. The big four banks fell 2-3 percent on worries about elevated sovereign risk as the government adjourned parliament to struggle with an internecine leadership battle. Qantas Airways lost 2.8 percent on concerns about rising fuel costs. Mining heavyweight BHP Billiton advanced 1.3 percent and rival Rio Tinto edged up 0.4 percent. Oil & gas producer Santos soared 11.3 percent after the company returned to a half-year profit and resumed dividend.